If the first three months were any indication, 2017 looks to be a breakthrough year for Action Lab Entertainment. Fresh on the heels of their largest release ever with DollFace #1, Action Lab announces its next wave of creator-owned series. Upcoming titles include Spencer & Locke, Medisin, Kid Sherlock and two Hero Cats series, Hero Cats of Skyworld and Midnight Vol. 2. 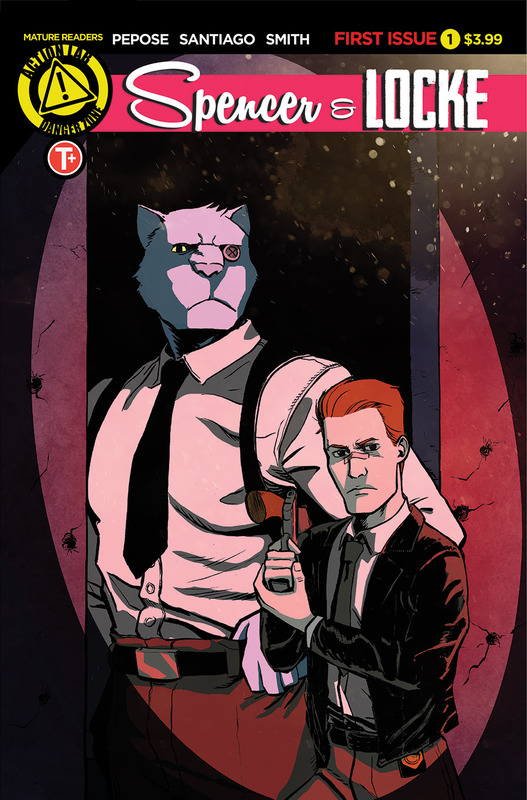 Find out what happens if Calvin & Hobbes grew up in Sin City with Action Lab: Danger Zone's Spencer & Locke in April. Written by David Pepose and illustrated by Jorge Santiago, Jr., Spencer & Locke follows Detective Locke, who returns to the scene of his horrific upbringing when his grade-school sweetheart, Sophie Jenkins, is found dead in a lonesome back alley. But when Locke’s investigation dredges up menacing figures from his traumatic past, there’s only one person he can trust to help him close the case — his childhood imaginary panther, Spencer. 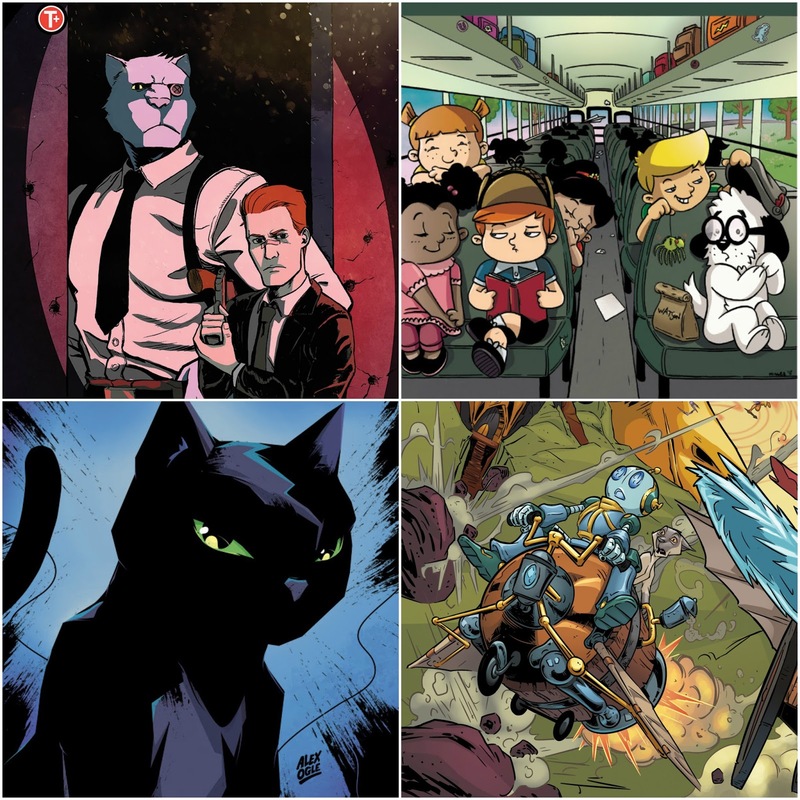 Fans of Ed Brubaker's Criminal, Nick Spencer's Thief of Thieves, and the work of Bill Watterson will love Spencer & Locke. In May, Action Lab welcomes Medisin, a six issue mini series from ActionLab's Danger Zone about healthcare for super villains. Health care for super villains. What a concept. 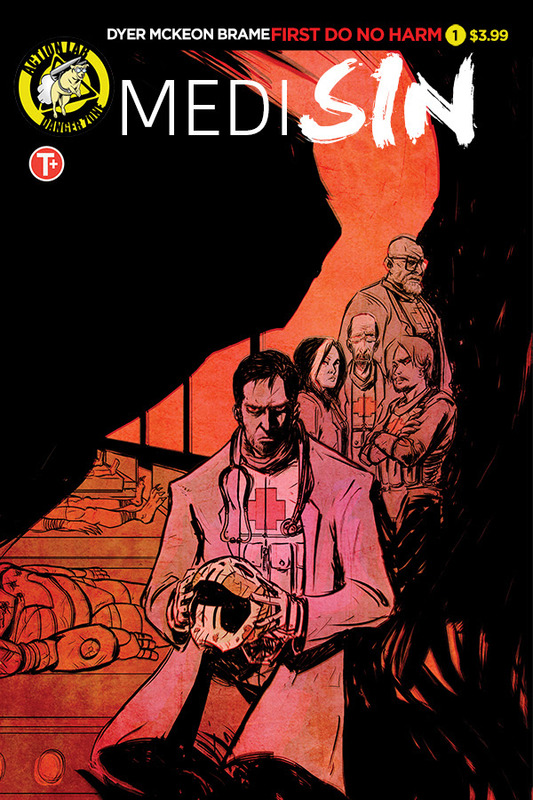 Ethan Sharp leads a team of down on their luck doctors who have been blackmailed by the sinister Malady into providing medical care for the worst super villains in the world. Ethan and his team are all broken individuals, struggling with their own personal issues. Are they upholding their Hippocratic Oath to "first, do no harm"? They struggle with these ethical dilemmas as they strive to escape from the grasp of Malady, who has all of them on a very tight leash. Ethan comes to terms with his own family history and learns a terrifying truth about himself along the way. Fans of the Suicide Squad and Breaking Bad will love Medisin! May also marks the continuation of the all-ages series Hero Cats with Hero Cats of Skyworld and Midnight Vol. 2. What if the Breakfast Club took place in a Dungeons & Dragons world? Now imagine that the jock, the criminal, the princess, the brain, and the basket case are all cats. Get ready for the wildest stories ever told in - "The Hero Cats of Skyworld"! 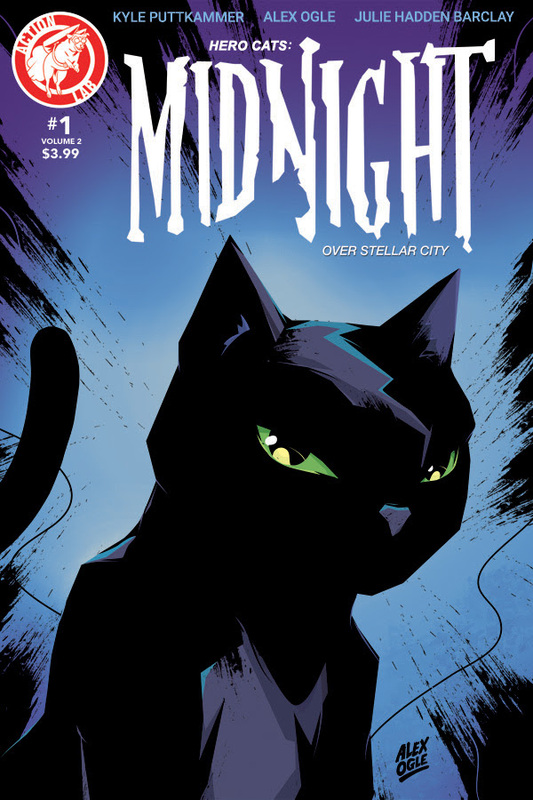 Midnight is a black cat wielding the claws of justice. He has to find a way to save the world! Take James Bond and Batman, mix it with some beautiful Frank Miller inspired art, and throw in a prison break. What do you get? An instant hit for cat loving fans everywhere! 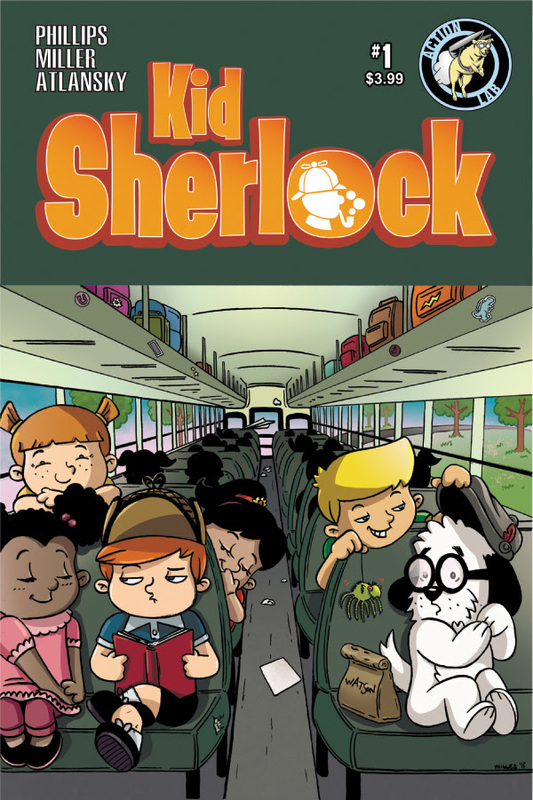 June marks the beginning of the all-ages comedy mystery series Kid Sherlock. John Watson is nervous being the only dog at his new school, Baker Elementary. But when he takes an interest in fellow student, Sherlock Holmes, the two become unlikely, and sometimes contentious, friends. Together they deal with bullies, track down lost toys, investigate stolen playground equipment, and even face an unseen threat terrorizing the school halls. All the while Watson tries to help Sherlock make friends with his fellow students and Sherlock tries to help Watson become a better detective. 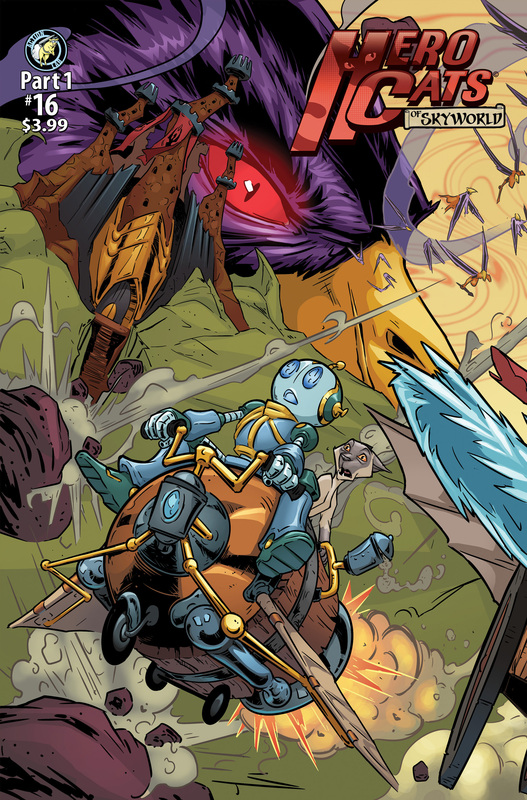 In addition to these upcoming titles, Action Lab will continue to publish their all-ages series such as comic legend Peter David's Artful, the sci-fi series Blue Hour and ZAG Entertainment's Miraculous. Action Lab's mature imprint, Danger Zone, will continue its various series, including AmeriKarate, DollFace, The Circle, Tomboy, Vampblade and Zombie Tramp. "We're out to make a statement in 2017," said Dave Dwonch, Action Lab's President of Marketing and Development. "These are the best books you'll find on the shelves, period." Look for all of these titles and more in 2017!